Huddled with his cabinet colleagues as the Meech Lake constitutional accord collapsed, Brian Mulroney lashed out at Pierre Trudeau and other Liberals for engaging in "a colossal deceit and betrayal of the country," newly released records say. 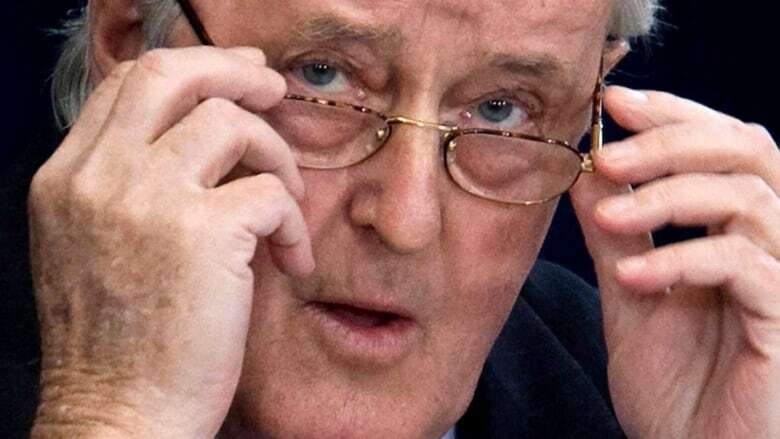 During an evening cabinet meeting in Parliament Hill's Centre Block, a dejected Mulroney squarely blamed former prime minister Trudeau and soon-to-be Liberal leader Jean Chretien for helping orchestrate the accord's demise. "He said that the Meech Lake accord had been obstructed and undermined by people who thought they had the right to govern forever," minutes of the June 22, 1990, meeting say. Trudeau had helped sow the seeds of the accord's eventual destruction, branding it a sellout to the provinces and Mulroney a "weakling." The Meech accord was intended to meet Quebec's conditions for embracing the Constitution, patriated in 1982 over the objections of the province's then-separatist government. Among other things, it would have constitutionally recognized Quebec as a "distinct society." First ministers agreed to the pact in 1987 but public opposition and subsequent provincial elections — which ensconced anti-Meech premiers in Newfoundland and New Brunswick and a minority government in Manitoba — put the accord's fate in jeopardy as the three-year deadline for unanimous provincial approval approached. Mulroney's emotional summation came just after Newfoundland Premier Clyde Wells refused to put the accord to a vote in his legislature. The agreement expired at midnight the following day, lacking the approval of Newfoundland and Manitoba. Wells "had broken his word," Mulroney told his ministers. "With respect to Quebec, the prime minister noted that Premier Wells had in effect done the work of Mr. Trudeau and Mr. Chretien. He described Premier Wells as Mr. Trudeau's agent. Mr. Chretien, hopeful of shortly gaining the Liberal leadership, had been silent," the minutes say. 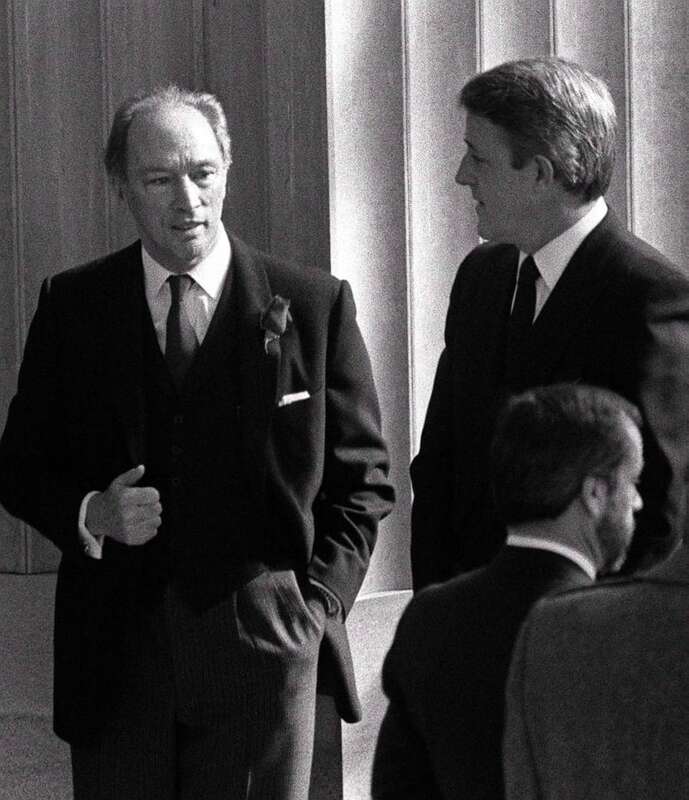 "The people of Quebec, he said, would see clearly that the work of Newfoundland was linked to the activities of Mr. Chretien and that all of this in turn was linked back to the influence of Mr. Trudeau." Looking back, Norman Spector, secretary to the cabinet for federal-provincial affairs at the time, notes that pointing a finger is a way of deflecting blame from oneself. "Clearly, Mr. Mulroney was devastated," Spector said in an interview. Chretien easily won the federal Liberal leadership the day after Mulroney's diatribe in cabinet. "As for the Liberal convention currently going on in Calgary, the prime minister noted that the Liberal party had participated in a colossal deceit and betrayal of the country," say the minutes. Mulroney declined to comment on the documents. Neither Chretien nor Wells responded to interview requests. Release of the records comes amid a Quebec election campaign, with the governing Parti Quebecois seeking a majority mandate and flirting with the prospect of the province's third sovereignty referendum. A complaint to the federal information commissioner recently helped dislodge scores of pages. However, some of the records remain secret due to concerns about sensitive matters including federal-provincial affairs and information obtained in confidence. The cabinet minutes vividly chronicle the accord's slow-motion collapse as the June 23 deadline loomed closer. Among Mulroney's front-benchers, then-international trade minister John Crosbie appears to have had the most realistic assessment of the situation, repeatedly warning fellow ministers it was unlikely Wells could ever be brought on side. While his cabinet colleagues discussed plans to "orchestrate pro-Meech opinion" after introduction of a companion resolution meant to mollify hold-out provinces, Crosbie "remained very pessimistic about the passage of the Meech Lake accord because Premier Wells would not be persuaded not to rescind Newfoundland's approval," according to the minutes of a March 20 meeting. In an interview, Crosbie said his cabinet colleagues underestimated Wells, who became premier just as Ottawa and the province were engaged in delicate negotiations over offshore oil-and-gas revenue sharing. Crosbie feared Wells' anti-Meech stance would delay or scupper those talks. Crosbie recalled saying when he phoned to congratulate Wells: "Now Clyde, I hope to Christ you're not going to go shagging around and cause trouble on the Meech Lake agreement. We've got a lot at stake here. "But Clyde told me, 'Well, there's nothing more important than the Constitution' ... So I knew from the beginning that he was going to be very difficult to deal with." Mulroney held out hope that Wells could be brought to heel if he wound up as the lone holdout. Although he told his ministers "the strategy was not to isolate anyone," he "thought there was little chance that Newfoundland could hold out against all the rest of Canada," according to the minutes of an April 26 meeting. As the clocked ticked down on Meech, Mulroney was adamant failure would be all Wells' fault, regardless of the fact that the accord was stalled in Manitoba, where aboriginal MLA Elijah Harper — acting on behalf of native leaders who were staunchly opposed to the accord — filibustered the legislature to prevent a vote. "The prime minister indicated that if the accord died, it would die at the hands of the Liberal party represented by Premier Wells and not at the hands of aboriginal people through delays in the Manitoba legislature," according to the minutes of the June 22 meeting. Blaming Wells for killing Meech — ignoring Manitoba's role — may not have been fair, but "there's no fairness in politics," Crosbie says now. Still, he believes Wells "was the principal person leading all of the forces against the Meech Lake accord ... If he hadn't been dead against it, it would've gone through." As for Mulroney's contention that Wells was the agent of Trudeau and Chretien, Crosbie scoffs: "Clyde Wells would not have done anyone's bidding. "If Lord Jesus himself had come down to Earth and asked Clyde to support the Meech Lake thing, Clyde would not have supported it. He had his mind made up and when Clyde decided and made his mind up, that was it."